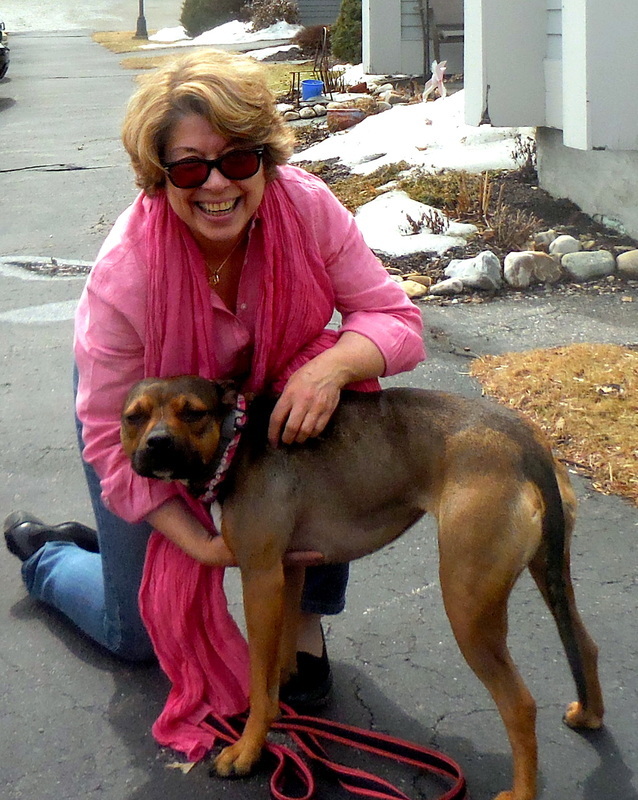 Carmel and Juju enjoy a lovely day in Vermont. Finally Spring! Nothing beats a nice evening with friends. St Patrick's day was celebrated with good fun, mashed potatoes, chicken, carrots, Irish soda bread and salad. Dessert was a non traditional gluten free raspberry pie. Another view. The dishes I am using came from Ireland to New York, then traveled to Bermuda, and are making their last stop in Vermont! Tomorrow is Thanksgiving so Frank is making apple pies. 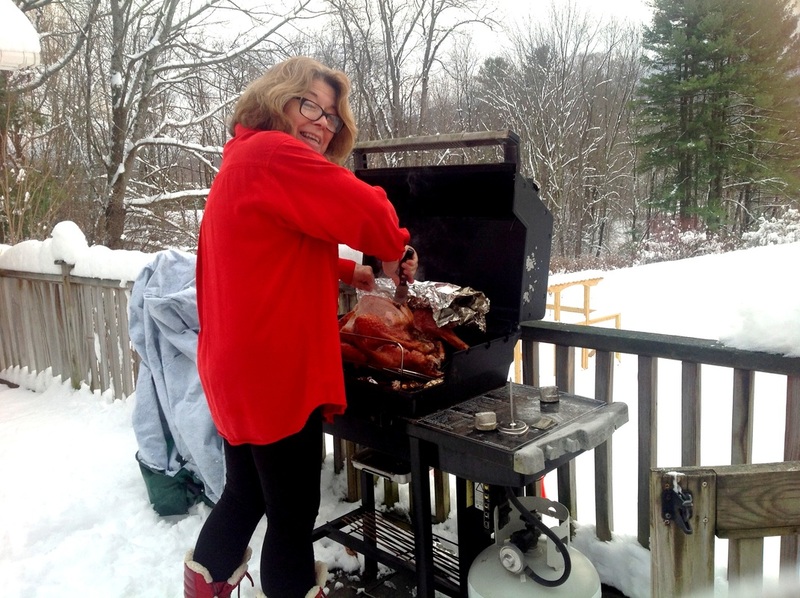 It was snowing in Vermont, the oven was broken, but our girl Carmel was not to be defeated! She fired up the BBQ and cooked a delicious stuffed turkey outside on the porch. 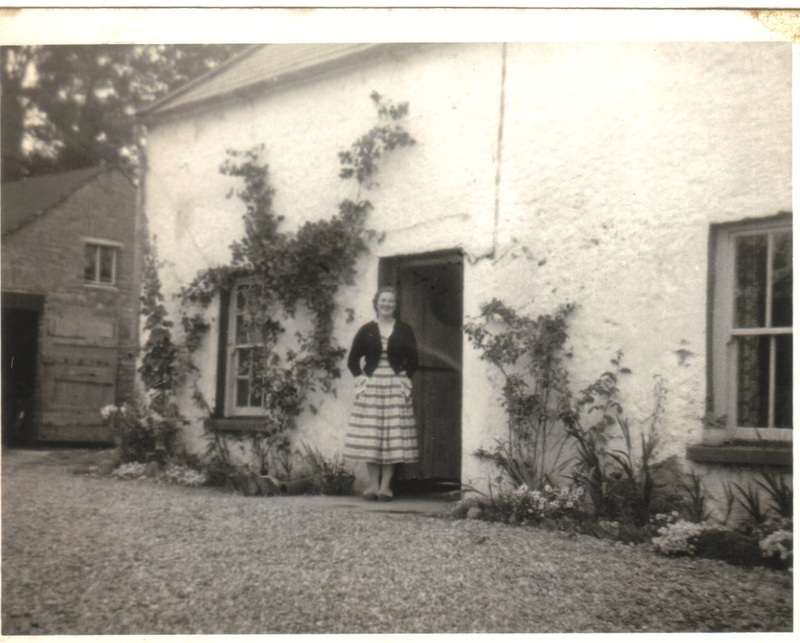 The pictures below show the house in Ireland where I grew up. The first picture is of my mother and the second is of my sister Geraldine. To the left of the door is a beautiful purple flowered Clematis which my mother grew very successfully. I always wanted to have a plant like this and this year I finally managed to grow a little one. The poor empty house as it is today, fifty five years later. 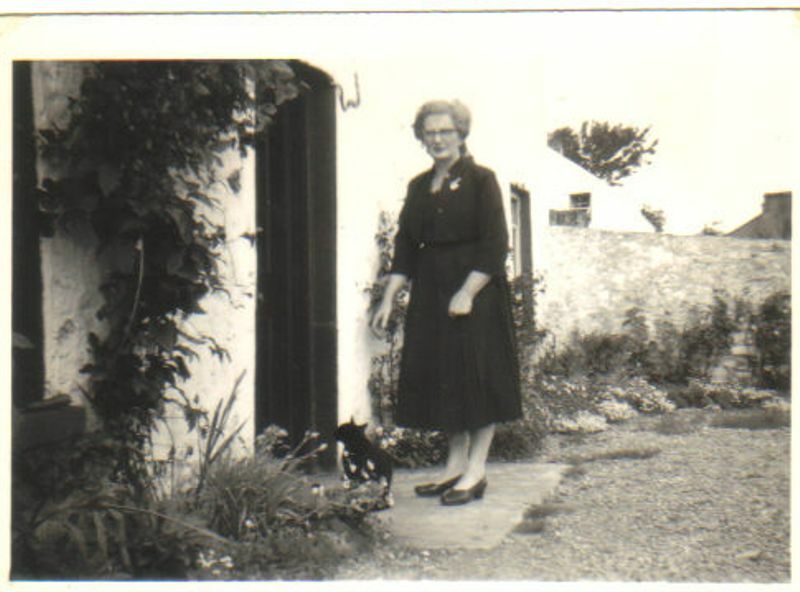 My sister Geraldine stood the years much better than the house and still looks great! Above - me in my cute little garden. Here is my purple clematis. I just hope it survives the Vermont winter. Some bits and pieces about my life.